One special ritual is being celebrated in the month of Magha Shukla Panchami tithi. 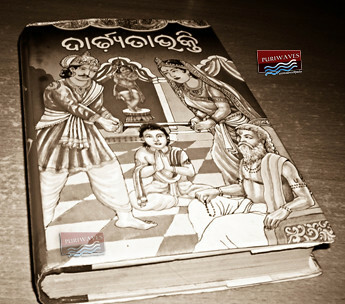 Ofering,arati and Benta Bindha niti of of Lord Jagannath is celebrated in Jagannanth Bhalab Matha. At Jagannath temple, chandan and fagu are used on the body of triad. In offering mandua, one special kind of dish is offered to Lord. As tradition Palia Khuntia the sevaka of Lord will go to Dakhina Dwara Landabarta, one location of Jagananth temple gate, call puspalaka, another sevaka for mailama. The wearing Madhabali, is wore by Changanda mekapa sevaka to triad. Chandan ( Sandal Paste ) in three silver pot called pingna is came from the home of Ghatuari sebak, Puspalakas apply Chandan ( Sandal Paste ) on the body of the deities. After that Laxmi ( Sridebi ) and Saraswati ( Bhudevi ) will come to Dakhina Ghara Khata Seja. 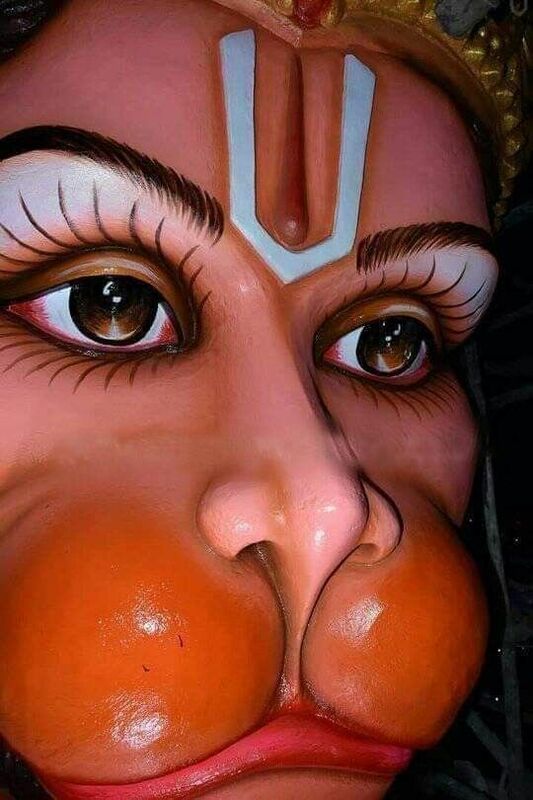 After that Dola Govind will come to that same particular location. Then Chacheri besa of Triad will be done. Mandua Bhoga is offered to triad. 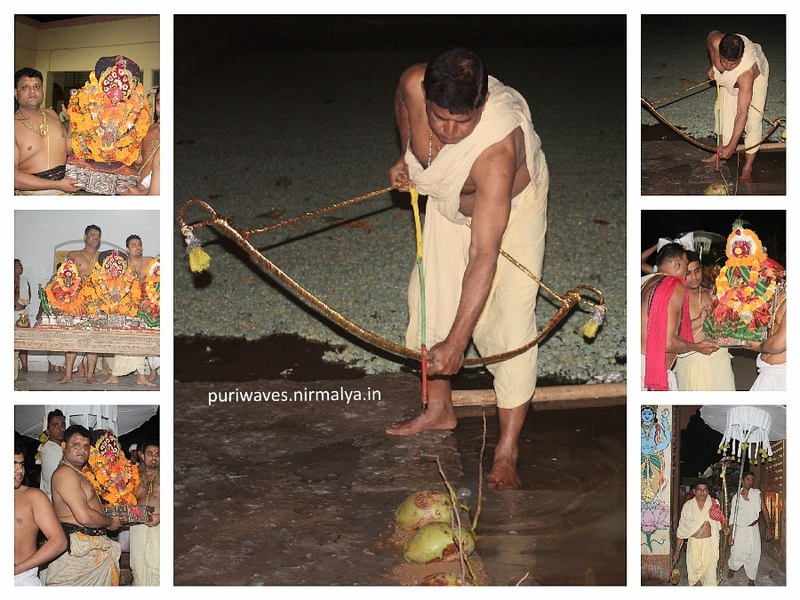 The ritual panipadi is done ater that Palia Padhiary will call for Chacheri Bhoga. The three deity Sridevi, Bhudebi along with Dola Govind will come to inside Singhasana. Fagu and Chandan is applied to them by Sevaka. After that arati is done by Pujapanda, Pati and mudirasta in tinibada. After getting Angyamala form Lord Jagannath, three lord Sridevi, Bhudebi and Dola Govinda will come to Jaya Bijaya Dwara Landabarta by the hand of Mahajana Sevaka. Chamar Alata ritual is done, afer applying fagu chandan on Sridevi, Bhudebi and Dola Govinda. Lord is come to Jagannath Balabha Math, Benta Pokhari(Puskari) with Ghanta, Chata and Kahali for Basanta Gundicha celebration. Lord Dolagovinda play fagu with his two wife Sridevi and Bhudebi. Shitala bhoga is offered to Dola Govind, Sridevi and Bhudebi. Benta Bindha niti is done at Benta Puskarini Jagannath Ballav Matha. 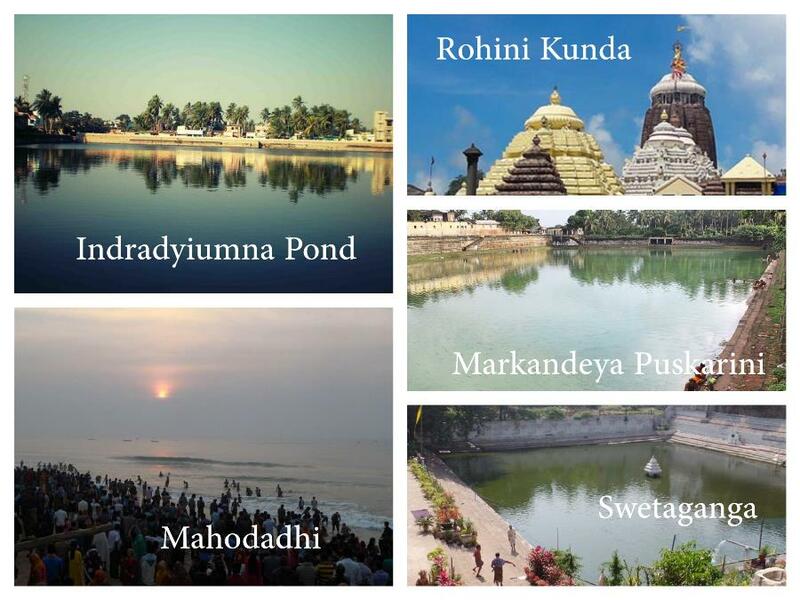 After Benta bhinda niti Dola Govinda return to Dakhinaghara of Jagannath temple, Bhudebi and Sridebi return inner sanctuin Sihansan. After Sandhya Dhopa, new panji is worshiped at Saraswati temple. Benta or sikara (hunting) – it is one of the interesting ritual done on Basant Panchami day and in three other days in a year signifying the royal status of the Lord. He being worshipped as a Supreme Sovereign King, some rituals are in tune with the royal status. Benta or going for hunting is one among them. Here there presentative of the Lord Sri Dola Govinda goes to Jagannath Ballava Math, the pleasure garden of Lord Jagannath. There is a pond inside the Math called Benta Pokhari or hunting pond. On the bank of the pond green coconuts are placed symbolizing the hunting prey Deers. Benta Paika a class of servitors pierces with golden arrows on behalf of the Lords.